Back when I was thinking about having more children I would sometimes get a sensation of longing that a friend called “empty arms.” She told me that her mother would occasionally experience “empty arms,” even though my friend was one of eight siblings and more kids were not in the cards. It’s puzzling, though, that I would suddenly get the “empty arms” feeling for a new kitty. I already have two, very needy, very high-maintenance American Short-hair cats- Max and Sam- ages 3 and 12. They are sweet, lethargic boys who are low in energy and high in affection. They have never scratched or bitten anyone, even when provoked by Zach and Miles. 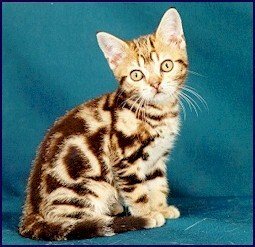 I researched the breed after falling in love with a champion American Shorthair at a Cat Show. The first domesticated cats in America came over with the early European explorers and settlers. There is definite proof that several European Shorthair cats were brought to America on the Mayflower, giving birth soon after arriving at Plymouth Rock. These cats were prized for their rugged constitution and rat hunting abilities, complemented by their friendly natures. Our American Shorthairs may be descendents of these immigrant cats. My cats are inside cats and require special diets, regular litter scooping, and clean-ups for hair-balls; flower ingestion; and bug eating. They scratch and meow when closed out of rooms, paw at us vigorously when hungry, and insist on flowing water rather than water in bowls. From May until September they shed copiously and, even when brushed outside on the deck, have enough loose hair to cause cat-sensitive folks to sneeze and wheeze. In short, my cats are lively, sweet, curious, but costly family members. 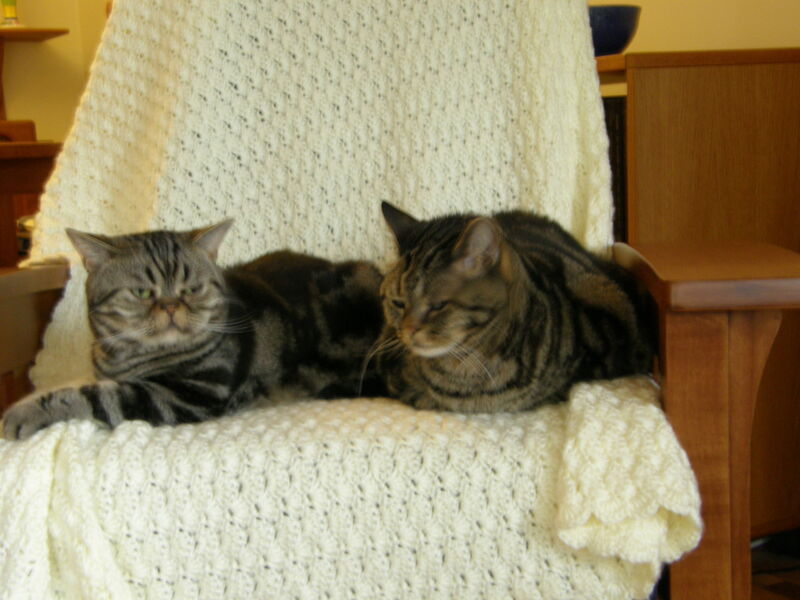 Two summers ago, we spent $8,000 at the vet on Sam’s bladder stones and Max’s parasites and respiratory infection. It doesn’t make sense that I would even contemplate a new kitten. But cats are fun to watch in groups as they jockey for position and stake out their territory. They have an endearing way of butting their head against your chin. The young ones stir up the oldsters. They have unique personalities, though always stubborn and independent. They pick the time and place for affection. They are able to entertain themselves and transform sleep into an art form. There is, of course, a slight danger that I will become one of those eccentric, cat-obsessed sixty somethings who treat their cats like children and become the subject of reality shows. But for now I just think cats are great fun to live with and enrich (emotionally, not financially) my life. But are three cats one too many? Will there be another kitty in my future? Stay tuned. Bless you for your enthusiasm–just as long as you do not curl up with them and sleep the days away. But I know there’s no chance you will. Maybe a kitten will help to keep all of you fit (emotionally and physically).